I just returned from the annual Disney trip, and took some pictures that might just show up here on GettingGiving. In fact, we’ll start with one today. 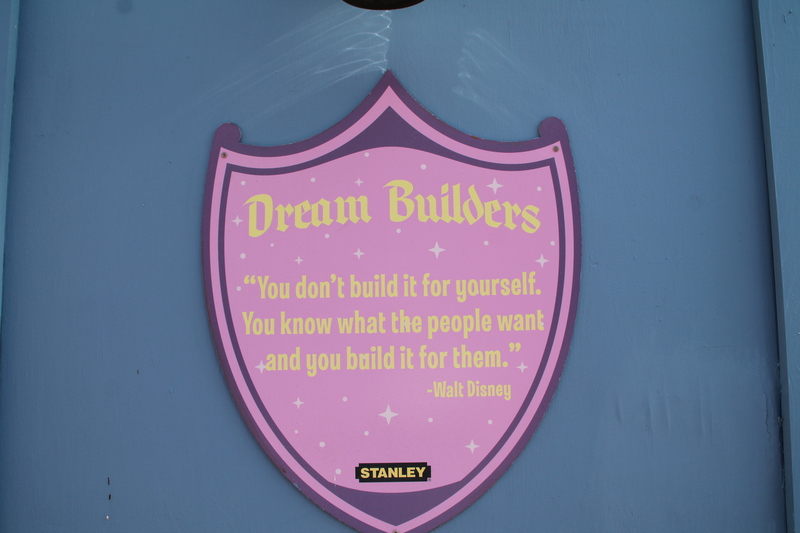 Walt Disney is famous for many quotes that are displayed around the WDW property in various locations. Some are on the walls surrounding construction zones, including this one that I will translate for you. . .
Disney spends considerable time and energy conducting market research and translating their findings into new products and activities throughout their theme parks. They come up with a concept, test it, and then build what the public wants. Then they test the results by conducting surveys throughout the parks – it’s not uncommon to be stopped by a Disney employee (cast member) and asked a few simple questions after you’ve been on a ride, in a store, or after a dining experience. During my last trip, I was stopped no less than five times, probably more. I know it sounds like a hassle to be on vacation and answering survey questions, but it only takes about 30 seconds and I’m happy to oblige because I know they will actually translate that data into actionable information to improve for the future. If you follow the ‘you are not your donor’ mantra, you know that it’s best to craft solicitations not for ourselves, but based on what the prospect/donor wants and responds to – and our best tests come from looking at the results of our endeavors. If the feedback is positive (increased gifts, increased engagement, etc.) we continue – and if not, we make some changes and try again. Every time we conduct a solicitation, we’re also conducting a survey- and if we ignore the results we’ll miss many opportunities for increased support in the future. I’m sure Walt would agree!